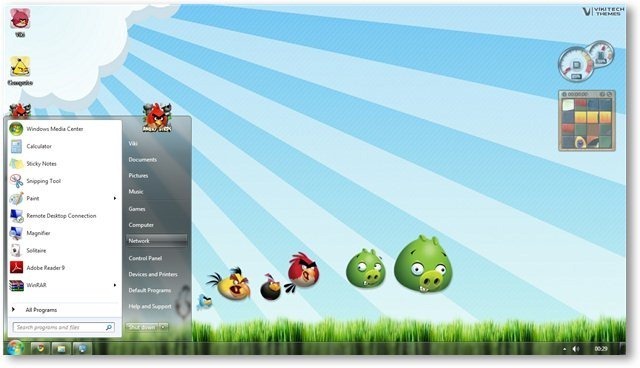 Angry birds is one of the most popular game.Currently it is available multiple devices like mobile,tablet PC and computers.This game is really addictive and you will love to play it.Previously I’ve shared some amazing angry birds wallpapers for pc.Now here is new Angry birds game theme available for Windows 7 PC.This Windows 7 theme comes with 20+ high quality wallpapers based on the game. 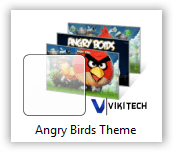 This Windows 7 theme has cool sound scheme from the game.It comes with cool custom icons from the game for Computer, Recycle bin etc. « Nokia Announces X7 and E6,Symbian Anna Update Coming Soon – nokia x7.